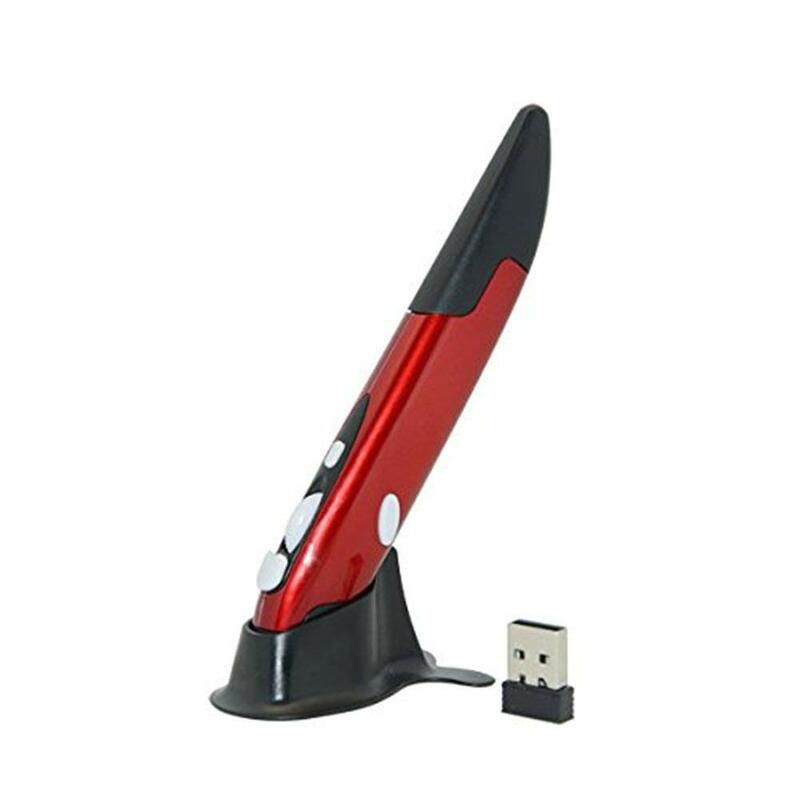 2.4G Wirelss connected pen mouse, the transmission distance can be up to 33 feet. Adjustable DPI, and, precise 1200dpi optical sensor tracks true on most surfaces. Making this the ideal mouse everyday usage. ery practical: Used as mouse. It can be used on the PPT when you are having a teaching meeting, business meeting, working PPT speech and other occasions. 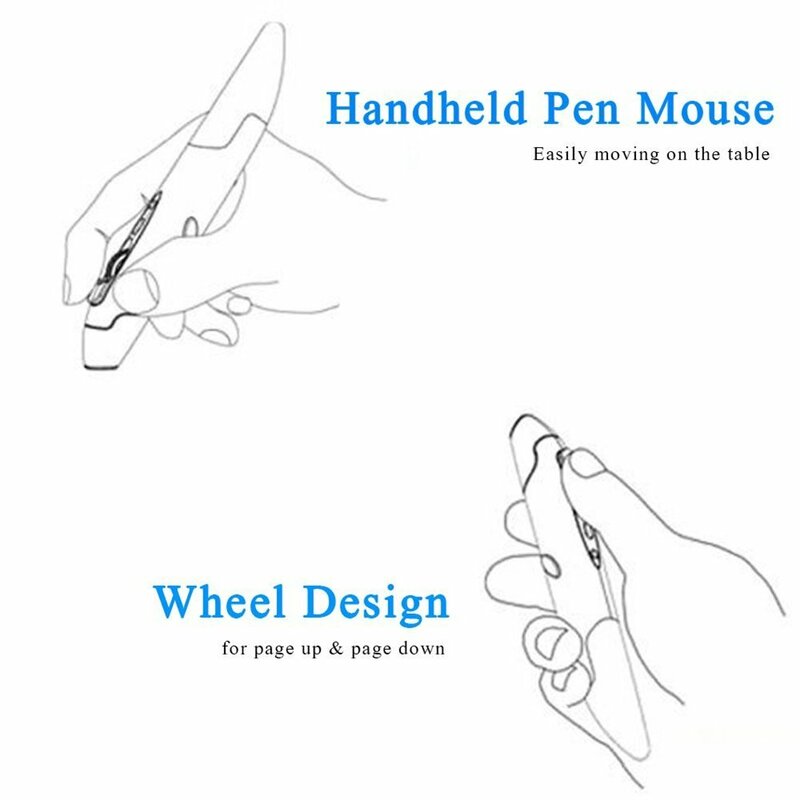 Mouse Pen Size: 5.5(L) x 0.6(H) x 1(W) inches. 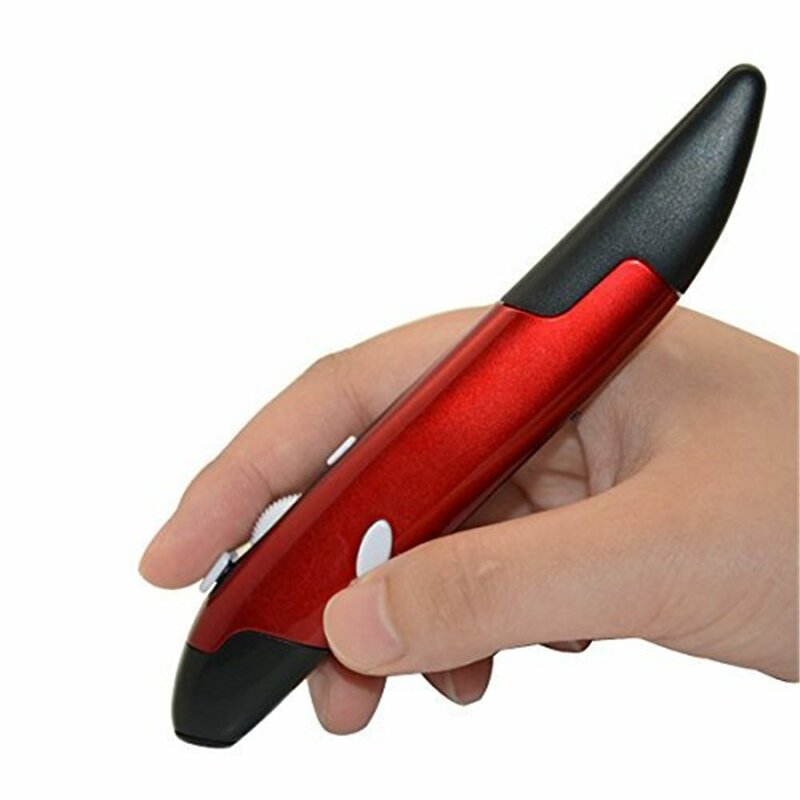 It's only adult palm size, very light, easy to carry, you can even put it in your pocket. 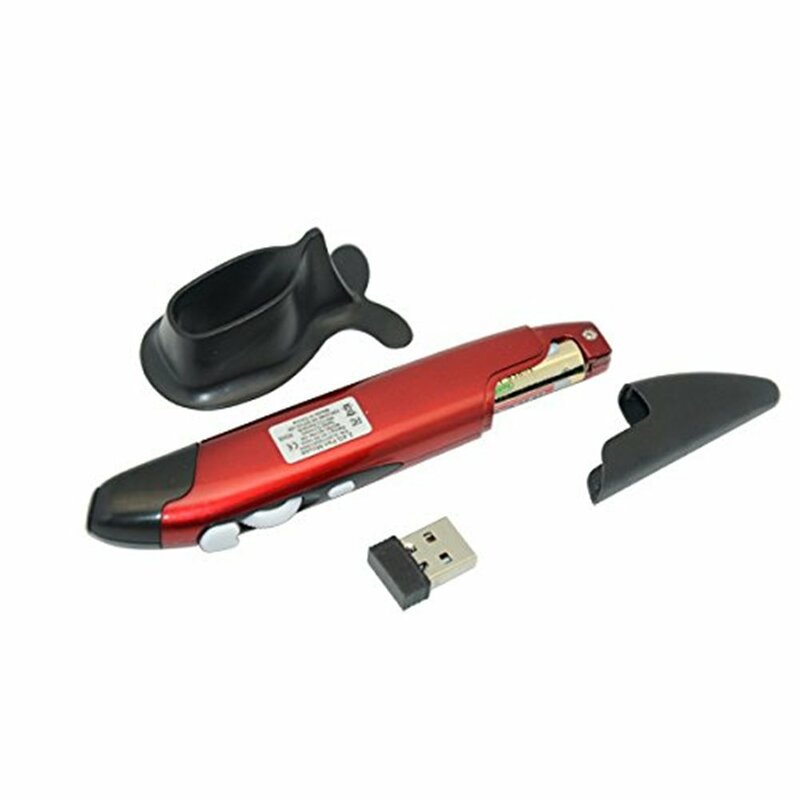 The portable, mini, fashional appearance and the ergonomic design provide you a comfortable feel. 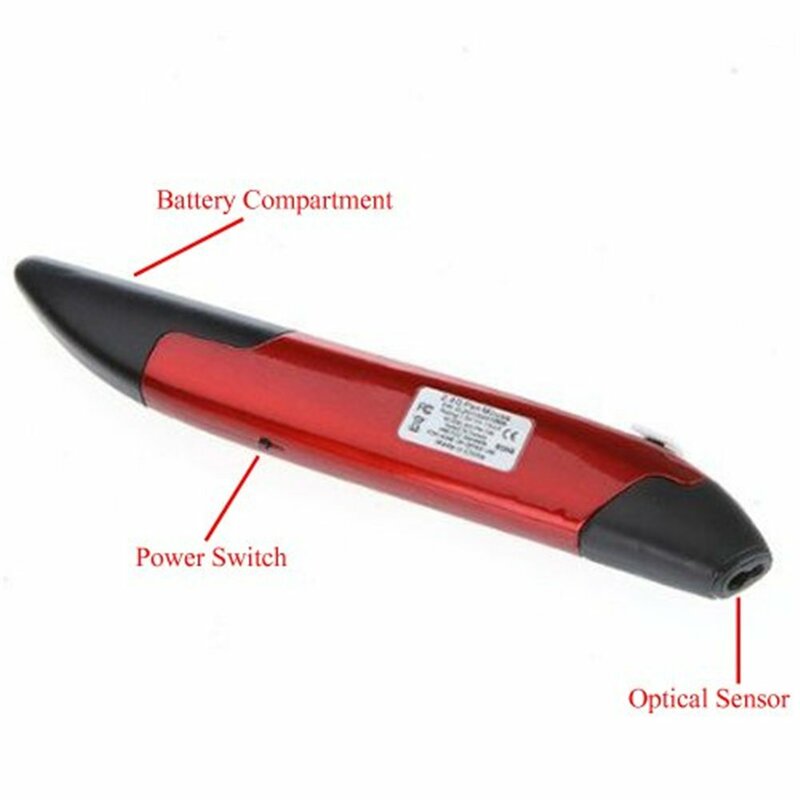 Mini receiver, compatible with: Windows ME/ NT/2000/XP/Vista/Windows 7/Android/Linux/MacOS. Battery: 1 x AAA battery (not included).